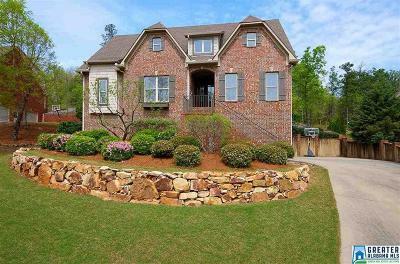 Find the best Homes for Sale in Hoover AL. 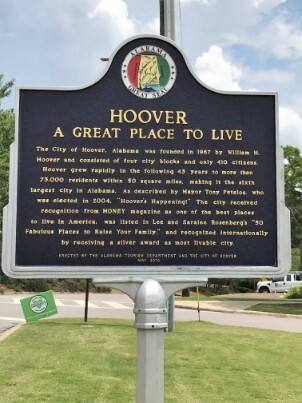 Hoover Alabama is one of Birmingham’s most popular suburbs. It is the 6th largest city in the state. It is known for its rolling hills and beautiful landscapes as it is located at the foothills of the Appalachian Mountains. Hoover is also home of the Hoover Met Sports Complex and the Riverchase Galleria. 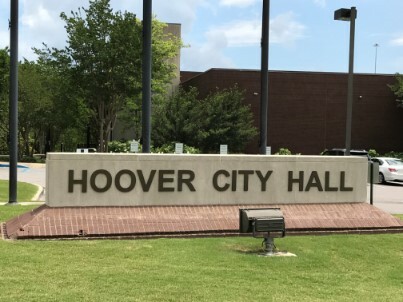 Located just off I-65 and I-459 in Jefferson County and Shelby county, Hoover is the largest suburb near Birmingham and has a population of about 90,000 residents. Summers are warm with high temperatures running 91 degrees on average with an average low of 72 degrees. During winter months the low is typically 36 degrees and the high is around 56 degrees. One of Hoover’s driving forces for economic development if the Hoover Metropolitan Complex. In addition to the baseball complex the development includes the recently opened Finley Center that includes 155,000 square feet of space, 11 basketball courts, 17 volleyball courts, a performance center, a food court, a one quarter mile walking track and space for banquets or trade shows. The next phase of the complex consists of five NCAA regulation soccer fields, lacrosse and football and five NCAA regulation baseball fields. Hoover’s largest employers are BlueCross BlueShield, Bud’s Best Cookies and the Hoover School system. Shopping is plentiful in Hoover with the Riverchase Galleria Mall just off I-459 along with Patton Creek. There are many local restaurant favorites including Jim n Nicks bar-b-que, Ashley Macs and Tazikis, just to name a few. Residents and visitors alike love to spend a quiet afternoon strolling through Aldridge Gardens, a 30-acre plush garden and lake. The area is also known for the Renaissance Ross Bridge Golf Resort with the 5th longest golf course in the world. In the evenings you can hear the beautiful sound of a bagpipe player as we strolls around the property playing. Residents enjoy the outdoors at the Moss Rock Preserve with its beautiful 349-acre nature preserve abundant with forest systems, large rock outcroppings, streams, waterfalls, wildlife, and other unique natural features. The Hoover Public School system is highly rated and includes 10 elementary schools, 3 middle schools, 2 highs schools and 1 intermediate school. 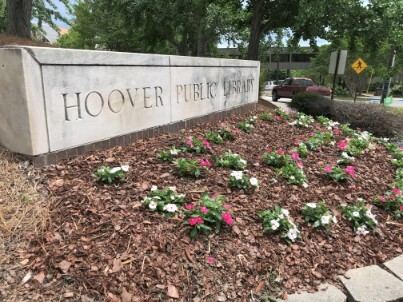 Hoover High School is one of two high schools in Hoover and it has a dynamic campus and serves a student population of approximately 2,950 students in grades 9-12.. It is located off Hwy 150 down Stadium Trace Parkway, near the Hoover Metropolitan Sports Facilities. With personalized, differentiated learning, numerous academy programs, an International Baccalaureate Program, and a low student-teacher ratio, the school operates as and has the feel of a much smaller campus. Of note, Hoover HS exists as one of only 136 high schools in the US offering the AP Capstone Diploma, in addition to the Alabama high school diploma. Spain Park High School is the second Hoover high school with enrollment of 1,645 for students in grades 9-12. It is located off of Valleydale Road and Caldwell Mills Road at 4700 Jaguar Drive. Spain Park is one of 12 schools in Alabama to be included in the Washington Post's 2015 list of America's Most Challenging High Schools. The average ACT score for students is 24. The Hoover school system has three middle schools, Berry Middle School, Simmons Middle School and Bumpus Middle School. Berry, Bumpus and Simmons schools teach 6th, 7th and 8th grader. Berry Middle School is located near the campus of Spain Park High School and has a student population of about 1,200. Simmons is located at 1575 Patton Chapel Road and has around 800 students. Bumpus Middle School serves 812 students and is located near Hoover High School off Stadium Trace Parkway in the neighborhood of Trace Crossings. Brock's Gap Intermediate School is composed of 400 3rd through 5th grade students and is located at 1730 Lake Cyrus Club Drive, Hoover, AL down Hwy 150. The Hoover public school system is comprised of 10 elementary schools. Bluff Park Elementary School was established in 1924 and is the oldest elementary school in the system. With about 660 students grades k-5, this neighborhood school prides itself on its small, community feel. Deer Valley Elementary School located at 4990 Ross Bridge Parkway serves students K-5th grade and has about 850 students. This school is located just down the street from the beautiful community of Ross Bridge and Deer Valley. Green Valley Elementary School is located off Old Columbiana Road in the heart of Hoover and serves students K-5th grade with around 450 students. Greystone Elementary School is located at 300 village Street, serves students in K-5th grades and has about 450 students. Gwin Elementary School is just off Patton Chapel Road and has about 590 students in grades K-5. Riverchase Elementary School is the newest Hoover school, located at 1950 Old Montgomery Highway. Riverchase serves students from K-5 grades and has around 682 students. Rocky Ridge Elementary School is located at 2876 Old Rocky Ridge Road. This schools teaches pupils K-5 and typically has about 592 students. Shades Mountain Elementary School can be found at 2250 Sumpter Road. With about 336 students grades K-5th, this is one of the smaller Hoover elementary schools. S. Shades Crest Road Elementary School has recently gone through a rezoning process and now only teaches students from kindergarten to second grade. This school is located at 3770 S.
Shades Crest Road. Classes are self-contained with a student-staff ratio of approximately 18 to 1 in kindergarten and first grade, and 20 to 1 in second grade. Trace Crossings Elementary School also just went through a rezoning process and now has students between grades 3-5. This elementary school houses the designated pre-school program for Hoover. Trace is located near Hoover High School at 5454 Learning Lane. Homes in Hoover range in price from $250,000 to over a million dollars. There is something for every lifestyle, price range and family need. Hoover has a variety of townhome and condo communities along with many neighborhoods to chose from. One of the oldest communities is Green Valley where you will find lovely homes nestled among the hills and shades trees. Green Valley residents enjoy the There are many subdivisions and neighborhoods around Hoover Alabama and one of the most established, is Green Valley. 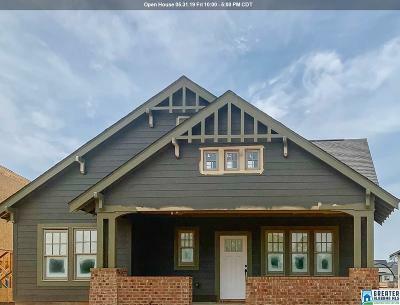 Green Valley subdivision is located North of Interstate 459 and Southwest of Interstate 65, just a few minutes from downtown Birmingham, practically in the heart of Hoover. It’s surrounded by the Hoover Country Club and golf course and there are number of shops, restaurants, churches and schools all in this area named Green Valley. 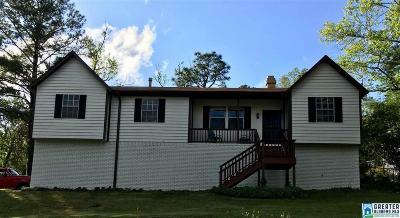 Not surprisingly, the area has been known as the Green Valley community since the 1930s so this is a prominent community within the city of Hoover. This was the first plan subdivision in Hoover and the Green Valley country club is now known as the Hoover country club. 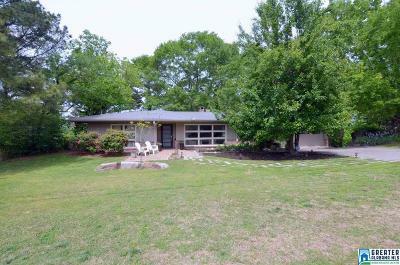 As one of the first subdivisions, most of the lots are extra-large and enjoy mature trees. The private Hoover country club offers a golf course, tennis courts, clubhouse, and swimming pool for members. Star Lake which is close by features a walking trail and fishing for kids. 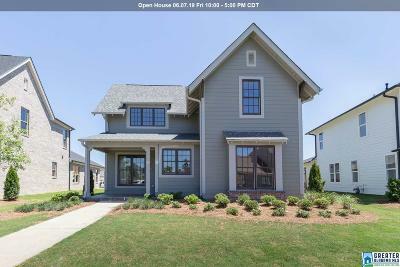 Neighborhoods with in the Green Valley are just a few minutes to the Riverchase Galleria as well as most of downtown Hoover amenities. 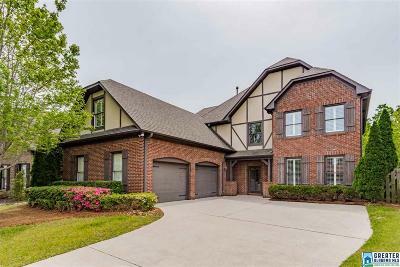 Another unique neighborhood located in Hoover is Riverchase. Riverchase enjoys winding, tree-lined roads. Residents of Riverchase feel like they live in a forest. Neighbors do not see the house next door because of the all the foliage and trees. In the heart of Riverchase is the Riverchase Golf Course and Country Club. The club also has tennis courts and a pool for members. Many of the homes in Riverchase sit up on hills or down in valleys due to the terrain. The Cahaba River winds through the back of Riverchase giving nearby residents a beautiful site. Riverchase is located off I-65 and Hwy 31 with a 30-minute drive to downtown Birmingham. Ross Bridge is one of the newer Hoover communities. The variety of home choices range from townhomes to million-dollar homes on the golf course and everything in between, all built by Signature Home Builders. The Ross Bridge seven swimming pools are like those you would find in resorts and residents have access to each of the pools. Additionally, Ross Bridge has a beautiful golf course and a Renaissance Hotel and Spa in the heart of the neighborhood. Trails and pathways and parks wind throughout the neighborhood for the enjoyment of all.